Anavar is the old brand name for the oral steroid oxandrolone that was initially manufactured in the mid 1960s and was developed for muscle wasting and quick weight loss. It is a mild anabolic steroid with low androgenic properties, is not very toxic on your liver and quite mild on the body’s production of testosterone. Basically, it is deemed as one of the mildest steroids on the market. 2 Can Anavar promote strength gains? 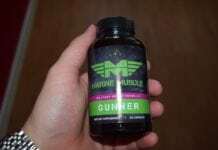 3 Can Anavar’s impact testosterone production? Anavar is considered to a mild steroid, therefore you will you need to ingest high doses to achieve the desired muscle gain effects. It has been designed to be alpha-alkylated, to pass through the liver mildly and to have a sound level of anabolic activity. Evidence suggests that Anavar will not produce high levels of liver toxicity that are associated with C17-alpha alkylates, which is good news because high levels of C17-AAs can cause certain cancers, jaundice, hepatitis, etc. However, there is research that states the opposite and that prolonged use of Anavar of 6 weeks or more can cause high levels of liver toxicity and it's corresponding diseases. Research has also indicated that Anavar can aid wound healing and improve lung function and these enhancements make it desirable in the mixed martial arts and boxing industry. Anavar can have certain fat burning properties and is sometimes referred to as a ‘fat burning steroid’. Some research has shown that oxandrolone is superior to Deca at reducing abdominal fat in men and another study noted that total percentage body fat was reduced by using only 30mgs per day. In the follow up study, 12 week after the cessation of Anavar the subjects still had a lower overall percentage body fat, and this demonstrates its positive impact on long term weight loss. Therefore, the fat loss during the course of Anavar suggests that it may be permanent. Can Anavar promote strength gains? Anavar does promote some strength and muscle gains. However, due to its mild anabolic nature, it is not recommended during the bulking phase of your program. Therefore, Anavar is used for strength and cutting purposes but not for bulking. For many bodybuilders it is widely used during the cutting phase because this is when water retention is a concern and the more solid your gains are, the more muscle that you will keep. This supports the theory that the more solid muscle that you gain during the bulk phase, the more muscle/weight that you will keep during the cutting phase. This makes sense as many athletes gain weight or muscle when using the water retention steroids during the bulk phase and lose the biggest amount of their gains afterwards when cutting down. Can Anavar’s impact testosterone production? Therefore, the natural production of testosterone is slightly altered but is not suppressed and this is related to low doses of Anavar. However, this may be a different story in terms of testosterone suppression with high doses; again the jury is out on this issue, as the research is very limited in this area. Many bodybuilders take Anavar as a morning only bridging agent in between two cycles. However, 6 weeks plus of this bridging practice can cause high levels of liver toxicity and good practice is to cut down the time as with any other alkylated oral steroid. Another strategy is to use Anavar to supplement the cycle, as the steroid levels within the body can fall before the time of the next intake, so this ensures that this time period has maximal muscle gains. Many anabolic steroids have side effects attached to them, especially oestrogenic aromatisation. Anavar does not aromatise making issues like gynecomastia of little concern. While Anavar may offer numerous benefits we don’t condone or support the use of any steroid. Our recommendation would be to look for a safer alternative. A safe alternative to Anavar is Anvarol, which is a supplement available online from the Crazy Bulk website. Using this supplement will help burn off fat while cutting without losing that hard-gained muscle mass. Anvarol can help increase ATP (adenosine triphosphate), which gives your muscles the the energy needed to push harder and longer during your workouts. A months supply of Anavar will cost £32.95 ($54.99), and with the buy two get a third free offer, you can make big savings. There are no such thing as permanent gains, however to maintain any gains you need to make sure you start a PCT cycle at the conclusion of the Anavar cycle. This will help restart your natural testosterone production. Eating a diet rich in protein, with enough calories to maintain those gains is essential too. I’m on my second week of an anavar cycle. Just wondering can anavar make you bloated? Anavar does not aromatise so you should not encounter side effects like water retention or bloating. Have you changed your diet recently? This might be the culprit. How long does anavar take to work? Typically Anavar will work pretty fast as it is an oral steroid. Within 10-14 days you should start to see a slight but sufficient difference in strength. Of course this will depend on what this steroid is being stacked with, and what cycle you are using. When should anavar be taken? The half-life for Anavar is around 12 hours, so you should aim to take two or three evenly spaced doses throughout the day. What can you stack with anavar for best results? When stacking Anavar the following steroids should be used Trenbolone, Equipoise, Winstrol, Masteron or Primobolan. It is not advisable to mix two oral steroids, due to the higher risk of encountering side effects. What is the best time to take Anavar? It is best to take a single tablet 2 to 3 times spread evenly daily. One should be taken half an hour before your workout.